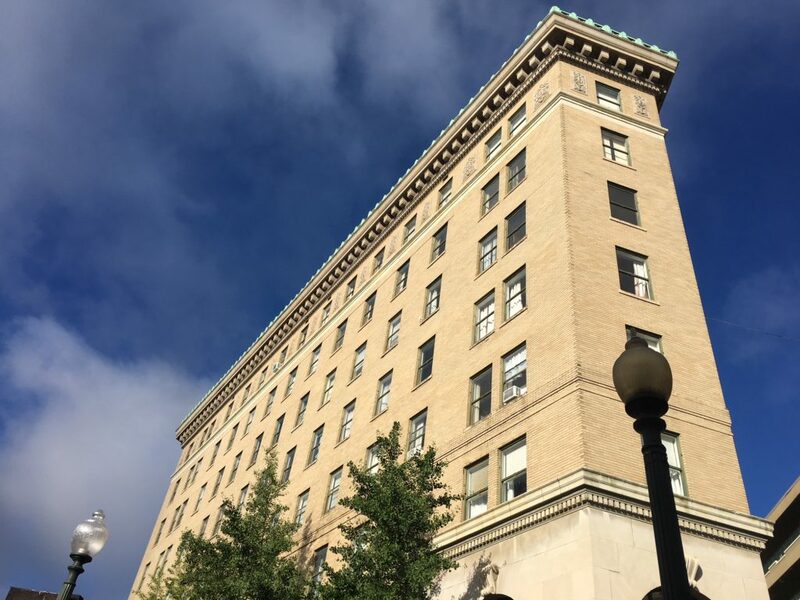 Remodeling the 91-year-old Flatiron Building in downtown Asheville under strict guidelines for historic restoration, and changing its use from an office building to a hotel, is the best way to preserve the landmark structure. That’s the case that developer Philip Woollcott and his team will make to local residents, city planners and ultimately Asheville City Council in coming months as he seeks to do just that. “We’ve analyzed several ways to restore the building to its original glory and give it economic vitality, and the best way to do that is with a lodging use, Woollcott said in an interview Wednesday. From its opening in the mid-1920s onward, the Flatiron Building at 20 Battery Park Ave. has served as an office building. Today, it’s filled with a number of small businesses. But with ongoing maintenance needs, that continued use isn’t economically feasible, Thomas said. “We don’t want to become functionally obsolete. We want to be ahead all of that,” he said. Woollcott, an Asheville native, said he has 20 years of experience in redeveloping buildings with his Charleston-based company, JPW Development. He’s already applied for federal tax credits under the National Park Service program that makes the tax break available for the rehabilitation of historic, income-producing properties. The rehabilitation work would be performed under that program’s exacting standards, Woollcott said, and would include: restoring the two original hand-operated elevator cabs, as well as adding a new elevator to serve all floors; updating all mechanical, electrical and plumbing systems; adding a sprinkler system to the building; restoring all 288 exterior windows; restoring the copper parapet; cleaning the exterior brick; and restoring the ground-floor retail window bays to its original look. All that work can be done with a minimal amount of construction disruption, Woollcott said. The 9-story Flatiron’s original doorways and hallways will remain. The building’s well-known Sky Bar that uses a fire escape platform to offer spectacular westward-facing view of mountain sunsets, would likely be upgraded, Thomas added. “We want to give the Flatiron the attention it deserves,” Woollcott said. Letters alerting neighborhood property owners of a community meeting will be sent out on Oct. 19, with the meeting set for the end of October, according to Woollcott. 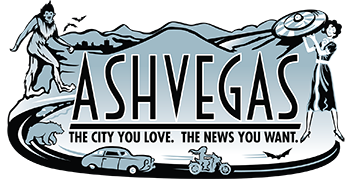 From there, the project will go through the city’s planning bureaucracy, with a final stop before Asheville City Council. The rest of the Flatiron project team includes: architect Jeff Dalton of Row House Architects in Asheville; Hutch Kerns of Kerns Landscape Architecture; Jerome Hay of Sud Associates and Chris Day of Civil Design Concepts on engineering, both Asheville-based companies; and Beverly-Grant Inc as the Asheville-based general contractor. -The Flatiron Building is one of Asheville’s three oldest high rises – built in 1924-1925. -The Flatiron Building was built by L.B. Jackson and Charles Malone – Jackson also developed the Jackson building (first skyscraper in Asheville built in 1922). -Albert C. Wirth was the architect – originally from New York City but moved to Asheville in early 1920s. 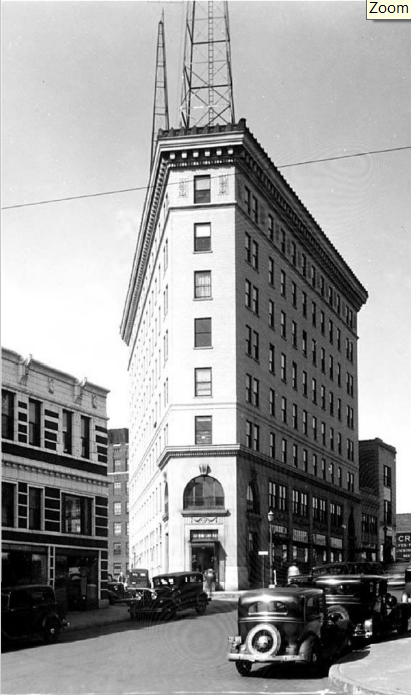 -Asheville’s first radio station, WWNC, broadcast from the ninth floor (rooftop) of the Flatiron Building in 1927 – Jimmie Rodgers (one of the first major country music stars) and Bill Monroe (one of the founders of bluegrass music were first broadcast from the penthouse radio station. Downtown Asheville is in desperate need for some affordable office spaces, where a lot of people are reverting to co-working environments like Mojo, this building was one of the last Havens of ‘affordable’ downtown office space, and now it seems to be on the outs. Is downtown Asheville going to be nothing but hotels and retail? No professional office use, no purpose for the city, and become a self fulfilling prophecy of more hotel rooms, more retail that sustains itself on itself. The biggest issue pushing small businesses from having a downtown location (not retail, but professional businesses) is the option of parking for their clients. Downtown Asheville has been slowly pushing out professionals for the past 10 years, and it seems now, per the argument of this developer, that it is ‘economically feasible’ to do so. Co-working / desk rental doesn’t work for obvious reasons if you’re working with in-person clients who need privacy or confidentiality, or if you have equipment or physical records that need to be stored onsite. Yes, the Flatiron (like the BB&T) is not ideally set up for modern office needs, but if you look at Craigslist, you’ll see how pitiful the options are in the area, especially for one-person professional businesses. The typical arrangement is sublets of larger spaces and time-sharing of smaller spaces to make the numbers work. At least the C-T spoke to current tenants at the Flatiron. Sure, why not another hotel? After all, according to the TDA, Asheville has only added 1600 new hotel rooms in the past three years, and there’s only 1900 more currently in the pipeline, bringing the total to a measley 9400 rooms.That’s a 40% increase in the number of hotel rooms in the area, in three years. Not nearly good enough.It’s clear that the only good use for any building renovation or undeveloped piece of property in Asheville is another hotel.It’s just common sense. Did you try to interview any of those (Asheville-based) business owners, Jason? Because if you didn’t, you’re just providing PR for the developer.